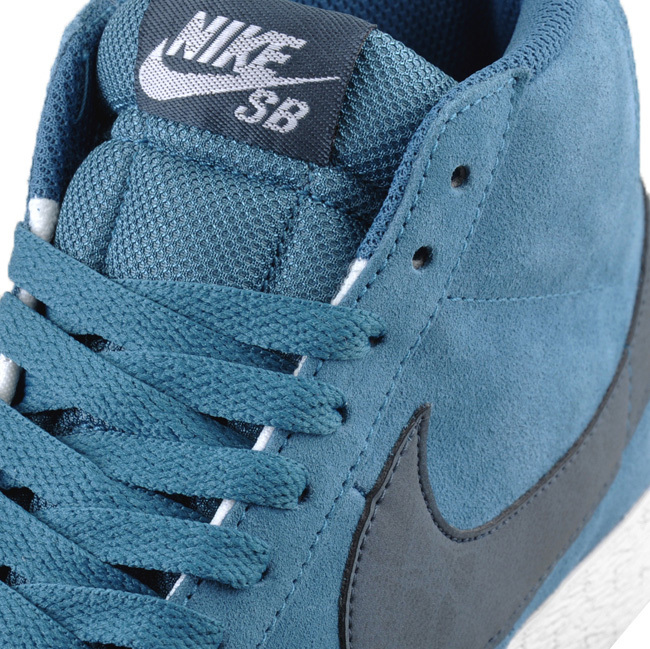 A clean blue hue takes over next month's release of the Nike SB Blazer. 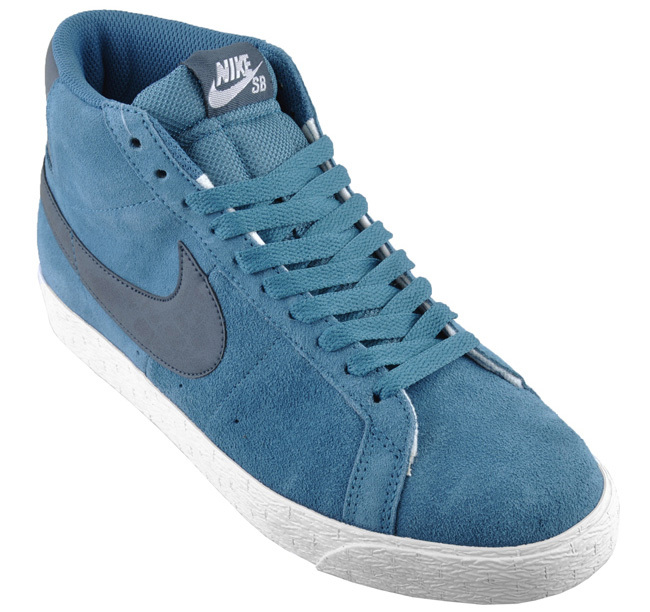 Another colorway of the popular Nike SB Blazer has surfaced, this time working in a cool blue build. Set for release next month, this latest SB Blazer provides us with a clean skate shoe that's also perfect for everday use when you're giving the board a rest. 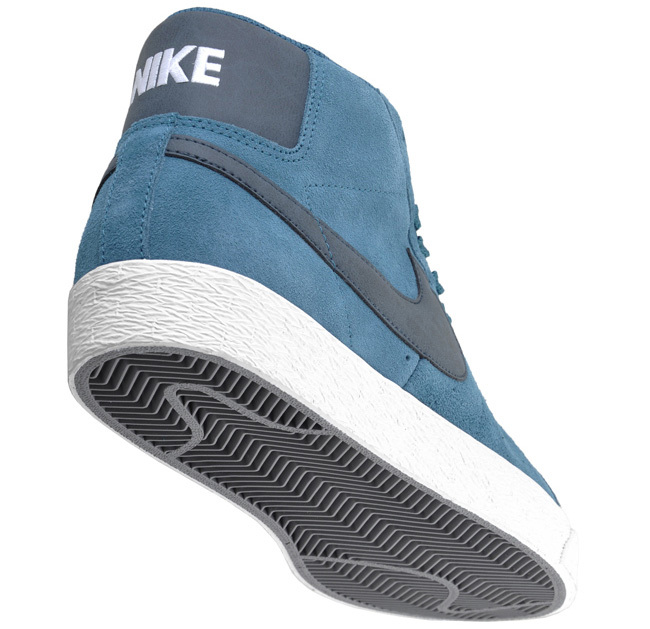 A clean blue hue known as "Blue Rift" covers most of the suede upper, while a simple grey shade takes care of the Swoosh, heel badge and tongue tag. White is also apart of the look, taking care of the heel and tongue branding. Additionally, we see a white vulcanized outsole down below. The "Blue Rift" Nike SB Blazer is set to release next month at all authorized Nike SB retailers.